As I noted in December, Ancestry.com announced that they would no longer be selling Family Tree Maker software as of the end of 2015 and would no longer support it as of the end of 2016. So lots of FTM users went a little nuts trying to decide how long they would stick with this program as they explored other options. Well, last Tuesday, Ancestry.com announced New Family Tree Maker Options, noting that an existing software company, MacKiev, is taking over Family Tree Maker. They will start selling the software as of March 1. 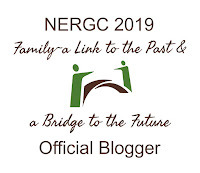 There is a lot of excitement among genealogists, which I have seen in the many blog posts announcing this news, as well as conversations on Facebook where Family Tree Maker users are sharing sighs of relief that their program is not going away! More information about MacKiev (which has been working on Family Tree Maker for Mac for the six years that this Mac version has been around) can be found at their website. 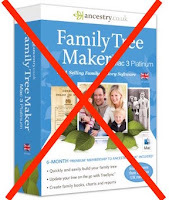 At the bottom of the page about Family Tree Maker is a FAQ page with even more information. 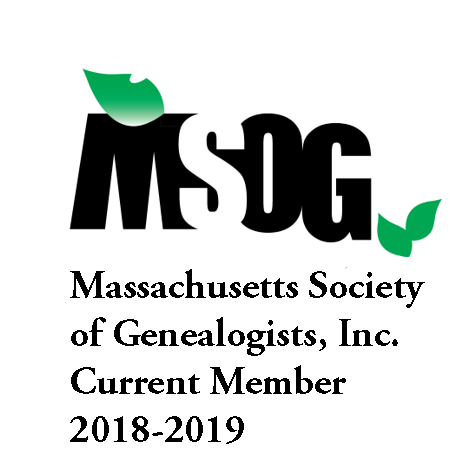 At this time, I will continue to "scrub" my data, in case I do want to create a GEDCOM for use in another program, but I do like the features of Family Tree Maker and will stick with it for the time being. Oh, fantastic!I was SO upset to think of having to find another application to use. Thanks for sharing this great news, Elizabeth! Karen, there are a lot of FTM users who were upset - you're not alone. Thanks for reading and commenting. I almost took over my daughter's old Mac for Reunion as I am a PC user for FTM2012. I love a lot of things about Legacy but my favorite part about FTM is the very open plan workspace. I don't care about FTM/Ancestry syncing as I use RootsMagic for syncing with FamilySearch. So if they will start selling the software as of March 1, I assume it's only the Mac version? Magda, even though MacKiev has been working on the Mac version of FTM, they will now take over both the Windows and Mac versions of FTM and make both available for sale by March 1. See MacKiev's FTM FAQ for additional information.